It's coming to that time of year when it's getting so cold that you value warmth over style and feel the urge to stick a big jumper on top of everything! But your winter knitwear doesn't have to be oversized and unflattering, on the contrary, here are 3 great knits which will keep you looking fab and not drab! 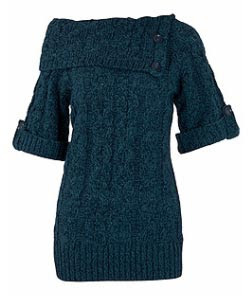 This blue half sleeve chunky cable knit sweater has a large button-up collar which looks just as good open or closed! 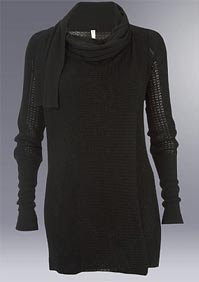 It's available from Dorothy Perkins for £35. Click here to buy!